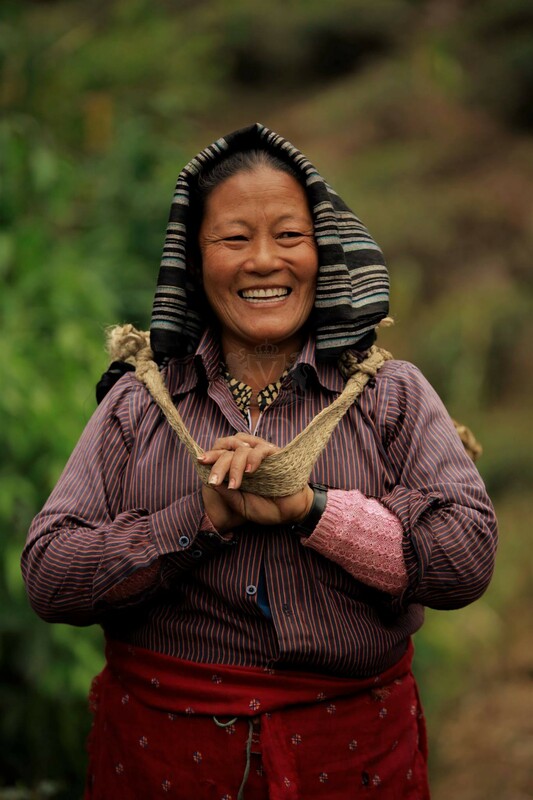 The association of patrons with teas sourced directly from the gardens has helped forge a happier future for women in India. 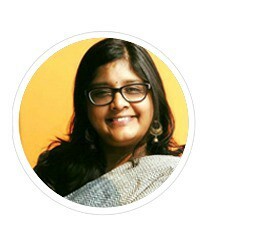 Here are five women supported by tea. 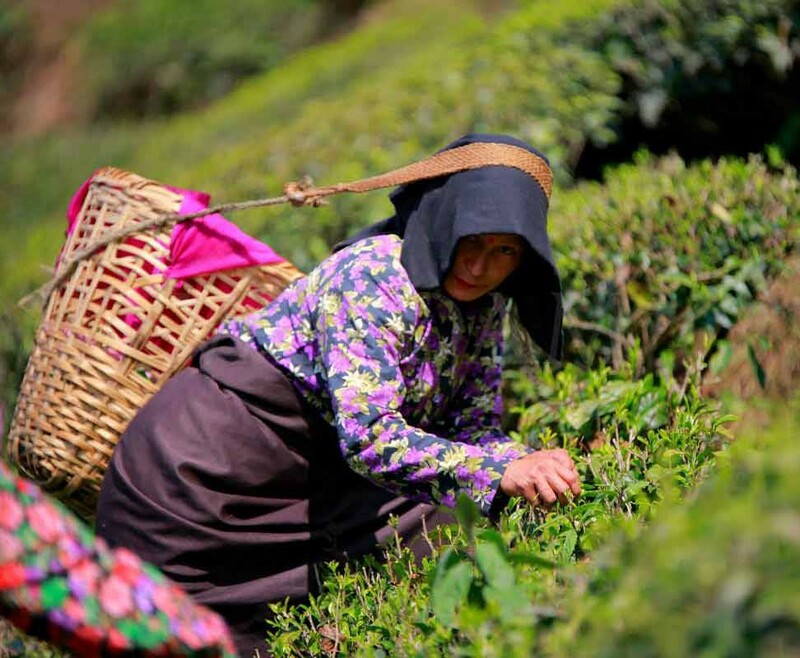 Every seasons we update you with the latest reports on the fluctuations in the tea trade. The idea is to prepare ourselves for the season to come. However, what the numbers do not tell us is the effect of every fall in numbers on the lives of thousands of women who depend on the trade. The women we met across three regions of the country and they had much to say. 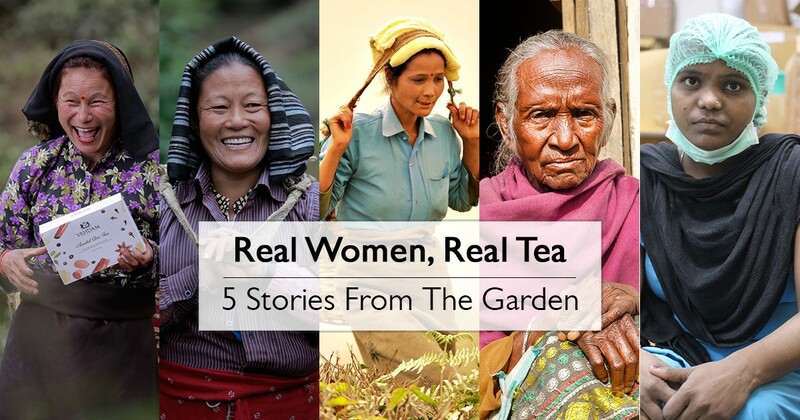 We have selected five women whose lives revolve around tea and who live in the Indian tea gardens to learn some important life lessons. Don’t listen to these girls! They keep spoiling my name. My name is Dharma but even as a child I always wanted to be an actor, so I got the name ‘Drama’. I love acting and I have practicing for many years. I love to laugh and make everyone laugh. I would have been a great actor but all I have are a few visitors every year who come to hear me sing while I pluck tea. I’m too old to be a filmstar but the stage will always be my first love. I love to break into song and stop these silly girls from going on and on about fighting. It has been 7 years since my husband passed on. I now work to feed my family. I have no education to see me through other jobs and I cannot manage the rough work of construction. 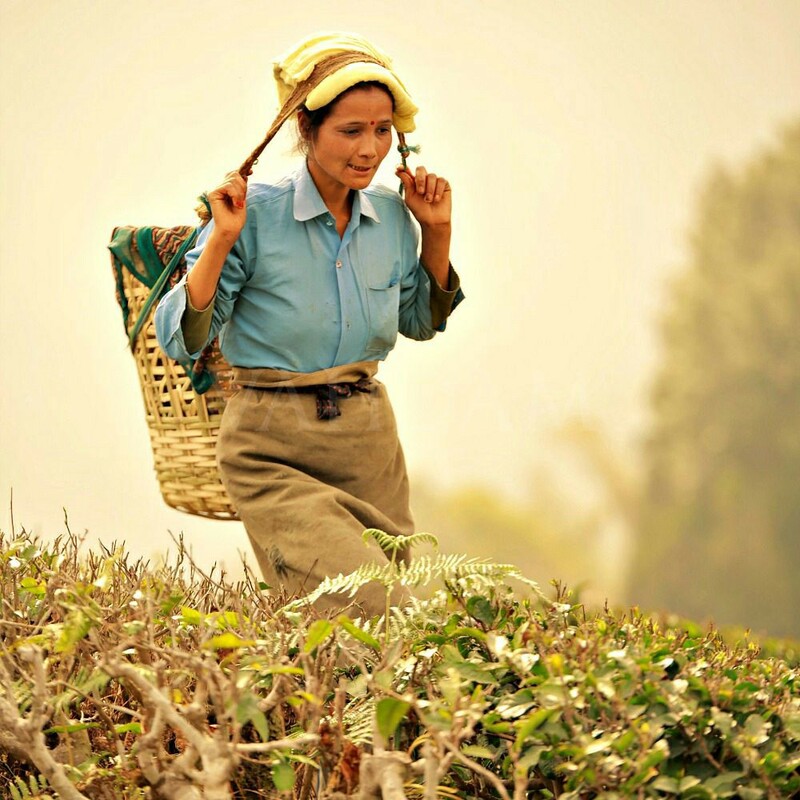 I learnt the art of tea picking from my mother-in-law who used to work in the estates. I now work here. It gives me pride to provide for my family and give hope to my children. I used to wear fancy clothes before but since my husband passed, I wear his shirts to work. It reminds my children of him and reminds me of the better days that we had seen. I work hard everyday to make sure that those better days that my husband and I had dreamt for the children, will come. Being an unmarried woman is a tough business. Everyone thinks my life is easy. My family thinks I spend all my time making eyes at men. My friends think that I am lucky not to have a man to answer to at all times, I don’t need to worry about children. Many others think I am too proud. Actually, I come to work every day to stay away from all these people. My mother fell very sick when I was 17 and I did not want to leave her side. She died a few years later and by then I was too old. Now I worry about my future, about my old father and my younger sisters. I worry about this ‘easy’ life I have. Why are you so surprised to see me working the handpump? I just had lunch or I would have invited you in for some as well. I am still the last one to eat after all my children and grandchildren have finished their meal. I had 8 brothers who I grew up with. 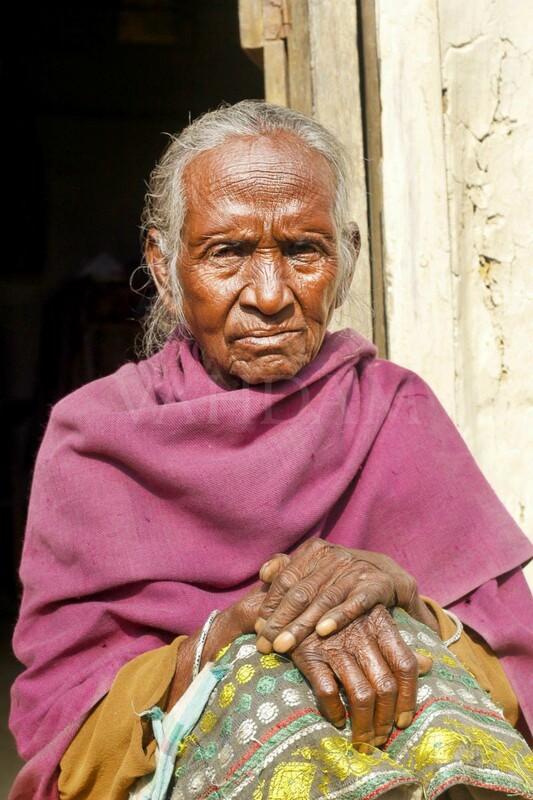 Most of them worked in the tea factory here and it was only after marriage that I was required to work as well. Childhood was fun. My wedding was the last great happiness in my life. Since then, I have watched everyone I love die, one by one. A fever took my mother one year, alcohol addiction took my father the next, my husband’s parents along with two of his brothers were washed away by the floods in another year. I lost all sense of time. My son, Damanik, was born despite the lack of all medical facilities, not even a midwife. He nearly died. Raising him was the only reason to keep going. I had two daughters after him. For a short while I had hope. My younger daughter died of a snake bite while playing in our garden. It was the year of Independence. It was too much for my husband who committed suicide when my son was 15. Only 2 of my brothers were still living and they supported me as much as they could. Their families and the other brother’s children needed their attention. I kept working at the tea garden each year and hoped for the best for my son and daughter. My daughter died two days before her wedding day. With her last breath she said that she would never leave me. My son is married now and has children. And I have vowed never to tell the time as long as I live. Whatever I have left, I do not wish to part with it. I never wanted an active life but I have great concentration. My father passed away when I was still a babe and my mother passed away last year. My brother and sister-in-law are the only family I have now but I do not want to be a burden on them. My job at the tea warehouse is ideal as I do not have to move around much. I earn my own living and live with my head held high, just as my mother taught me.